[XPB-MPL] Commemorate someone with a Memorial Plaque designed to fit any of our metal bench selection or mounting area of your choice. 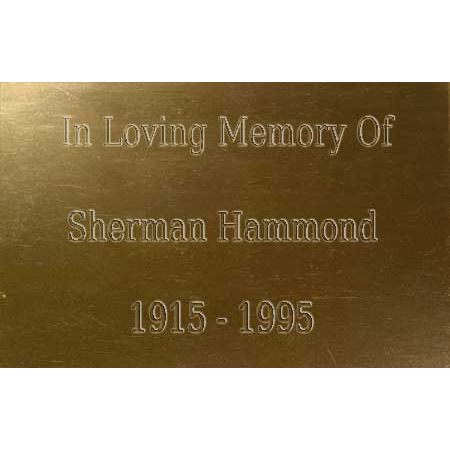 Memorial plaques are fabricated in brass. Brass plate is designed for engraved commemoration and can be added to any of our benches for a long lasting beautiful memorial. Plaque pricing varies depending on size and amount and style of engraving. For your custom "No Obligation Artwork" please email or fax your request to 830-627-8825 (fax) or email [email protected] shipping quotes, orders or questions please call our Customer Service Center at 1-877-483-9270.